More people will be getting married on non traditional days like Fridays and Sundays. I’ve even had some Monday-Thursday weddings. Saturdays will remain most popular, but I believe that Fridays and Sundays will start to be as common as Saturdays. More couples will be doing first look because it allows couples to have some private time to show emotion and catch the last moments of being single by themselves before the craziness of the day comes. I also believe that more couples will be including their parents in the first look. This happened in 2018 and the reason my couples gave was that they were not just marrying the person of their dreams, but they were marrying the family as well. It’s a sweet way to show their new parents how important they are and capture some lovely images. In 2019, we are going to be seeing a mixture of types of photography. Documentary type photography where there is no posing (the photographer is like a fly on the wall covering everything that happens without anyone noticing) and heavily posed portraits during family and wedding party images, and the bride and groom photographs that capture the feeling of love between the two with some posing but more about capturing emotion. I believe that there will be weddings with pets like dogs either walking down the isle with rings or a sign or even horses carrying the bride to the groom. I feel like there will be more non tranditional pets includes like bunnies, cats, birds, etc. Having weddings that celebrate something personal about the couple will often include their fury friends. Moon Sessions are going to be more popular as well as Wedding Moons. Moon sessions are sessions where you have a professional photographer photograph you two on your honeymoon. This is done in place of an Engagement session or Trash the Dress session. Wedding Moons are where a couple marries where they are going to honeymoon and invite close family and friends to celebrate their wedding and then stay to honemoon. Images have run the gambit with light and airy being popular for the last 3-5 years. Wedding experts are saying that Classic Photography will make it’s way back to pupularity with couples choosing to want photography that is closer to what you actually see and which stand the test of time. Couples will be more into little to no photoshop editing. They’ll opt for the little imperfections to be apart of their wedding day. More and more couples are coming into appreciate authentic photographs that are not heavily filtered. Could be from social media expectations of perfection getting old. With everything being all over social media. couples are wanting to have their ceremony be more of a surprise and shown by them, not all their guests before they have a chance to see the images. One way to assure this and to have guest present during the ceremony is to have an unplugged ceremony. A sign at the site and/or a note in the ivitation letting guests know that you want to keep the ceremony cell phone free works. Then the receiption your guests can click away and photograph everything and post. You’ll have a nice mixture of guest images and professional images. A big plus: You won’t have people standing or holding up cell phone during that all important first kiss after saying I do! Receptions are fast becoming all about treating guests to an experience. They are spending a small fortune on a wedding gift and more couples are feeling like they want something special and unique to treat their guests during the receptions. Some ideas I’ve seen are Jumpies, ball pits, games, photo booths, and desert bars. An additional way to treat your guests is to have options that accommodate the many dietary needs of guests these days. I’d love to hear if you feel there are any other trends that will come in 2019 OR if you are a couple getting married, are you going to be partaking in any of these ideas above? Comment below. 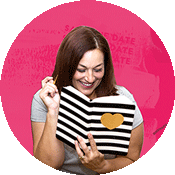 Check out my other helpful blogs for wedding planning here.